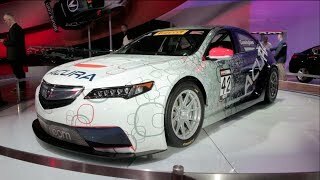 Acura has pulled the wraps off the new 2015 Acura TLX GT Race Car at the 2014 North American International Auto Show. 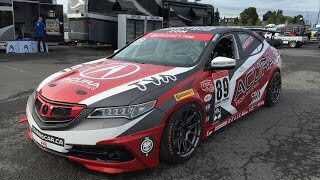 To be campaigned by long time Acura Motorsports partner RealTime Racing, the new TLX GT will move Acura into the top category of the Pirelli World Challenge. 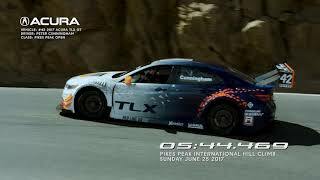 It will have competition against the Audi R8 LMS, Cadillac CTS-V, Chevrolet Corvette, Dodge Viper, Lamborghini Gallardo, Mercedes SLS, Nissan GTR, Porsche 911 and Ferrari 458. 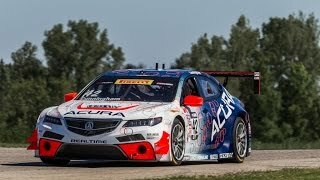 Developed from the production 2015 Acura TLX by HPD (Honda Performance Development), the Acura TLX GT Race Car will feature HPD chassis and aerodynamic performance parts approved for Pirelli World Challenge competition. It will be powered by a direct-injected, twin-turbocharged V6 engine.